The Upward Bound program dates back to 1968 when it began at the Claremont University Center. In 1972, the grant was moved to Harvey Mudd College by then president Joseph Platt and then newly appointed Dean of Faculty, Sam Tannenbaum. From the start, Octavio Boubion, the grant’s project director, distinguished himself and the grant with a reputation for innovation and creativity. At the time, such satellite programs and internship models were unprecedented nationally. By 1972, what we now know as the La Jolla Science Project had begun exposing students and staff to the wonders of nature and science by combining classroom and internship experiences in a residential program built around the notion of mentoring. In the mid-1970s, the Capitol Internship Project extended the model to the state capitol. And in the early ’90s, the Georgetown Project started traveling across America with 10 students, a tutor and then director, Jim Sullivan.  Academic Frontiers, which targeted students who had just completed the ninth grade, had also begun at Harvey Mudd College. Along the way, other creative projects have come and gone: a program at the Jet Propulsion Laboratory in Pasadena (later passed along to East Los Angeles College); a wilderness program run from a high Sierra bunk house; a grant targeting students in the Central Valley and low desert with an interest in math and science careers started in the early 90s with programs at Loyola Marymount University, UCLA and Harvey Mudd; and a joint program with the U.S. Navy serving students from across the United States. But the defining spirit of the Upward Bound Program—a commitment to expand opportunity and academic innovation—has always remained a constant. Now, after more than 35 years of hope and creativity, the program turns to the talented staff, alumni and students to sustain it with energy, passion, integrity, wit, and, above all, an abiding commitment to justice and opportunity.